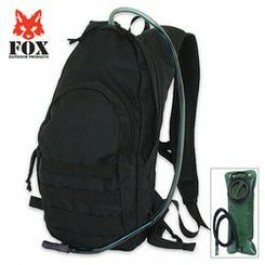 Buy Fox Compact Hydration Backpack-BLACK , from Budk - RBC VISA for $71.99 only in My e-commerce. 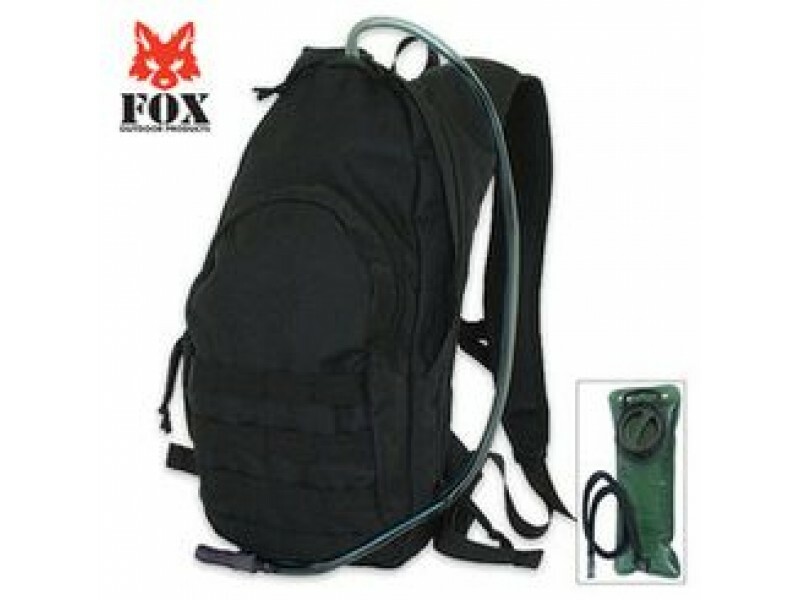 This Compact Hydration Backpack is constructed of rugged tactical polyester. Key features include: one large main compartment, one outside pocket with inside mesh accessory pockets, a hydration pocket with Velcro® closure and carrying handle; complete with 2.5 liter bladder. The modular attachment points on front face. expandable design and stay-cool mesh-backing also features modular attachment points, heavy-duty zippers and fully adjustable shoulder straps. 17" x 8" x 5" ov.